I was warmly welcomed onto Sarah’s podcast to chat about how I’ve become a happy, healthy, Thriving entrepreneur. 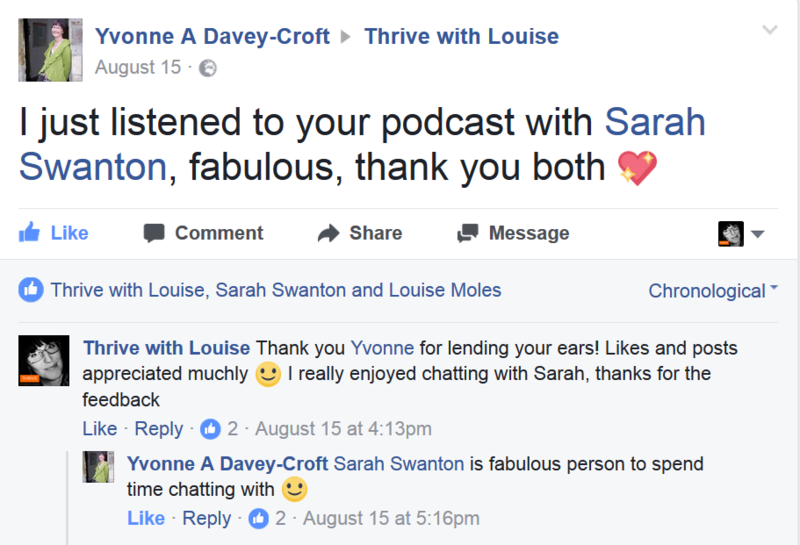 Working with The Thrive Programme is hugely rewarding! 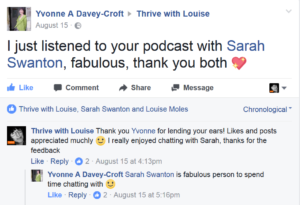 I run my own business in private practice as a Thrive Programme Consultant helping to revolutionise the way we approach our mental health problems, and offering a unique course for psychological wellbeing. Having made huge changes in my own life and overcoming many anxiety associated problems as a client myself; from there I was inspired to set up practice and I now teach others how to create their Thriving success story! If you’d like help sorting out future you, get in touch. Is your mental health for your career worthy of investment? I certainly think so! Get started and book a consultation chat today. beliefs, entrepreneur, future, happy, healthy, PACE, podcast, resilience, the thrive programme. Bookmark.